Eli is a Nuu-chah-nulth Canadian political scientist and internationally recognized expert in bio-cultural heritage conservation. He is a community developer focused in Constitutional Law, Geopolitics and Ecological Governance. Eli has experience in First Nations program administration, capital project management, fundraising, green and culturally appropriate housing, the deployment of renewable energy solutions in remote communities, and small scale liquid/solid waste management systems; all in the context of fostering alternative pathways to economic certainty in the era of reconciliation. Co-founder of the Ha’uukmin Tribal Park in the Clayoquot Sound UNESCO Biosphere Reserve on Vancouver Island, Eli is a Research Associate at The Polis Project on Ecological Governance at the University of Victoria and serves as the Regional Coordinator North America for the Indigenous Peoples and Community Conserved Territories and Areas (ICCA) Consortium. Danika Billie Littlechild is a member of Ermineskin Cree Nation in Maskwacis Alberta, Treaty 6 territory. Danika is a lawyer living and working in her home community, and her practice is focused on matters concerning Indigenous laws, rights of Indigenous peoples, Indigenous health, ensuring clean and healthy water for First Nations and strengthening Indigenous governance. Danika is currently serving her second term as the Vice President of the Canadian Commission for UNESCO. Danika was also appointed to the Board of Directors of MiningWatch Canada in 2017. Danika's practice also encompasses international advocacy on behalf of Indigenous peoples in the UN system, particularly through her role as consulting legal counsel for International Indian Treaty Council, an international NGO with ECOSCO Consultative Status. Danika is a member of the Alberta Judicial Advisory Committee, and is a recipient of the Esquao Award (2015) and the Alberta Aboriginal Role Models Award for Justice (2015). Danika holds a BA (Hons), L.L.B. from the University of Toronto and an L.L.M from the University of Victoria. Marilyn Baptiste is a councillor and former Chief of the Xeni Gwet’in First Nation in British Columbia, one of the six First Nations that make up the Tsilhqot’in Nation which was awarded the Supreme Court of Canada’s decision declaring Aboriginal title in 2014. Marilyn co-founded the First Nations Women Advocating Responsible Mining (FNWARM) to challenge mining development projects in Xeni Gwet’in land, while supporting other areas of BC facing similar challenges. She has collaborated with community leaders from the Yunesit’in and the broader Tsilhqot’in Nation to permanently protect Teztan Biny (Fish Lake) and the surrounding areas as Dasiqox Tribal Park. For her work in leading her community to defeat a large mining project and preparing submissions for the Canadian Environmental Assessment Agency mining review, Marilyn has been the recipient of several awards. Marilyn’s passion and dedication was ecognized through FNWARM receiving the 2010 Boreal Initiative Award (in recognition of the fight to save Teztan Biny, after the first federal government denial of the Prosperity Copper Gold Mine’s application). Marilyn has also been given the Wilderness Committee’s Eugene Environmental Award, as well as the Activist of the Year Award by the Council of Canadians’ world-renowned Maude Barlow. In 2015, Marilyn was awarded the prestigious Goldman Environmental Prize, the world’s largest international award for grassroots environmental activism. William Goodon has built a career with a combination of community service and entrepreneurship. Tutored by his parents to look for opportunities in business, Mr. Goodon seized the calling of working for the Metis Nation in the Metis Government in various capacities. As well, partnering with his father, Mr. Goodon is currently developing motel projects in southwestern Manitoba, with motel properties in Deloraine, Boissevain and Killarney. Mr. Goodon continues to work for Metis Governments as a facilitator, consultant and assembly chair. In June 2014, Mr. Goodon was elected to the Metis Government in Manitoba - the Manitoba Metis Federation - as a provincial board representative for the Southwest Region. President Chartier has subsequently appointed him as Minister of Housing & Property Management. To fulfill a promise Steven’s grandmother made to her husband on his deathbed, that their ten year old daughter would not suffer undo stress in life if she can help it, she offered to adopt her 18-year daughter’s baby, Steven, in order for his mother to finish her education. Steven was taken by dogsled from Yellowknife to Lutsel K’e to stay with grandparents who customarily adopted him, growing up in tents on the land, without much influence from the western world. Only learning English in Kindergarten, he had a traditional upbringing, following the seasons, hunting, trapping and gathering. Taught by elders who were not impacted by residential schools, Steven learned about his responsibilities as a Dene and in caring for their lands and resources. Steven’s upbringing and professional career is what brought him to the Pathway process. Steven is a negotiator for Lutsel K’e Dene First Nations and advisor with the Indigenous Leadership Initiative. A former MLA elected to the Northwest Territories Legislative Assembly, Steven was also elected Chief of Lutsel K’e Dene First Nations (LKDFN) in 2008 and served as CEO for the Denesoline Corporation, the economic development arm of LKDFN. Steven has been the lead negotiator on behalf of LKDFN with the Government of Canada for the creation of a protected area in Thaidene Nene, with shared jurisdiction between Crown and First Nations government. He continues to play a primary role in engaging with various levels of government and industry to build support and validation for the Thaidene Nene vision. Pamela Perreault is a member of Garden River First Nation in Ontario. Her academic and consulting careers have taken her across Canada and around the world in pursuit of knowledge and understanding of Indigenous peoples’ connection with forested landscapes. Between 1997 and 2014 she lived in British Columbia but worked extensively with First Nation communities and organizations all over Canada on natural resource issues such as consultation policy development and implementation, forest resource management, land-use planning, non-timber forest resources, community-based research and Aboriginal governance related to lands and resources. In 2014, Pamela returned to her home community of Garden River First Nation with her husband and son. Pamela works with Forest Stewardship Council (FSC) Canada as the Coordinator of Aboriginal Initiatives where she oversees the Aboriginal Rights and Free, Prior Informed Consent Project of the FSC Canada’s Forest Management Standards Revision Process. 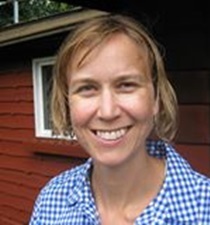 Pamela has been a research fellow at the University of Auckland NZ, a Member of the Forest Sciences Board of the BC Ministry of Forests, a Program Coordinator in the Faculty of Forestry at UBC, a university instructor on Haida Gwaii and at Algoma University in Sault Ste. Marie. She has a biology degree, specializing in freshwater ecology from the University of Waterloo and a Masters’ of Science in Forestry from UBC. She is co-editor of Aboriginal Peoples and Forest Lands in Canada (UBC Press 2013). Gordon’s traditional name is Hya quatcha, named after his great grandfather from Scia-new, the salmon people. Elected Chief of the T’Sou-ke nation for the past 9 years and, previously, the Backcountry Operations Manager of the West Coast Trail for Parks Canada Agency. He is the Director of the Lands Advisory Board, which oversees First Nations land management across Canada and serves as the Secretary of Naut'samawt Tribal Council. Gordon is a Coast Salish carver, artist, traditional singer and a captain of T’Sou-ke traditional dug-out canoes for the last two decades. Gordon has previously taken a three year assignment working with his community in bringing back their Northern Straits Sencoten language. Gordon and his wife Marcella presently reside in the village of Siaosun and have 6 children and 4 great grandchildren. He is actively working closely with the community in renewable energy, food security, cultural renaissance and Economic Development. Curtis holds a degree in geography from Carleton University with a background in research, policy and advocacy and several years of experience working on Indigenous environment and environmental health policy and legislative issues. Curtis has several years of experience in both government and private sector focusing specifically on environmental health, climate change, species at risk and biodiversity. During his career, Curtis has served as a research officer and policy analyst as well as the Coordinator of the National Aboriginal Council on Species at Risk. Curtis is a Policy Analyst in the Environmental Unit with the Assembly of First Nations and continues to work primarily on First Nations environmental issues including climate change and species/habitat conservation and protection. Eduardo Sousa worked for the past 9 years as senior Forests Campaigner for Greenpeace to successfully implement the world-renowned and award-winning Great Bear Rainforest Agreements with First Nations, the BC Government and the logging industry. Prior to arriving on the west coast, Eduardo worked many years as Ontario-Quebec Organizer for the Council of Canadians on public policy issues related to healthcare, water, trade and Canada-US relations. Eduardo was also as an environmental planner and special projects coordinator for Toronto Parks. He has a Master’s in Environmental Studies from Toronto's York University, with a focus on watershed planning and community mobilization, and an Honours BA in Social-Cultural Anthropology/Environmental Studies, from Victoria University/University of Toronto. Eduardo has various articles published in books and magazines regarding watershed stewardship, and environmental history. Eduardo acts as a representative for the Great Bear Rainforest ICE subcommittee which also is made up of Jess Housty, Heiltsuk First Nation Band Counselor and Qqs Stewardship Director, and Doug Neasloss, Kitasoo/Xai'xais First Nation Chief Counselor and Resource Stewardship Director. Eduardo, through the subcommittee, shares the expertise and experience gained in the conservation of the Great Bear Rainforest with the ICE. Chantal is from the Cree community of Wawanipi in Northern Quebec (Eeyou Istchee). She is the Protected Areas Coordinator within the Department of Environment and Remedial Works of the Cree Nation Government. Chantal is also involved in the Cree Nation land stewardship and conservation initiative in Eeyou Istchee, Crees' traditional territory in northern Québec, as a member of the Eeyou Marine Region Planning Commission and the Eeyou Protected Area Committee. Chantal is also serves as the Cree Nation Government representative on the James Bay Advisory Committee on the Environment, which is tasked with overseeing the administration of the environmental and social protection regime established by the James Bay and Northern Québec Agreement. Chantal holds a degree in Geography from Concordia University and has extensive training in geographic information systems (GIS) and environmental assessment. Chantal lives in Montreal and looks forward to bringing her conservation experience to the work of the ICE. Lisa Young is the Executive Director of Unama’ki Institute of Natural Resources (UINR), a leading Mi’kmaw natural resources and environmental management organization. Lisa joined UINR shortly after graduating with a BSc Biology from York University. Lisa was UINR’s General Manager and Director of Administration before becoming Executive Director in 2006. One of the highlights in her training was participating in Aboriginal Leadership and Management Development training at the Banff Centre. As Executive Director Lisa’s job includes program development and assisting staff in project development and management, as well as participating in developing UINR’s overall direction. Lisa participates on a number of committees including Pitu’paq, Bras d’Or Lakes Collaborative Environmental Planning Initiative, Mi’kmaq Forestry Advisory Committee, and Advisory Committee on Climate Action and the Environment. Brian has worked for the BC Government Pubic Service for over 25 years providing leadership in resource and land use management including protected areas, conservation, outdoor recreation, ecosystem management, forestry, land and marine planning. Brian has a long history of working with indigenous governments and communities on new collaborative management approaches for protected areas as part of broader government-to-government reconciliation agreements. 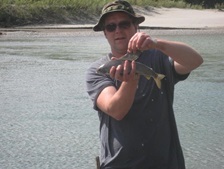 Brian currently sits on the Haida Gwaii Management Council and has served as the provincial representative and past Chair of the Canadian Parks Council and the Canadian Heritage Rivers Board. He continues to be involved in international protected area efforts including volunteering as an advisor for national park management in Thailand. 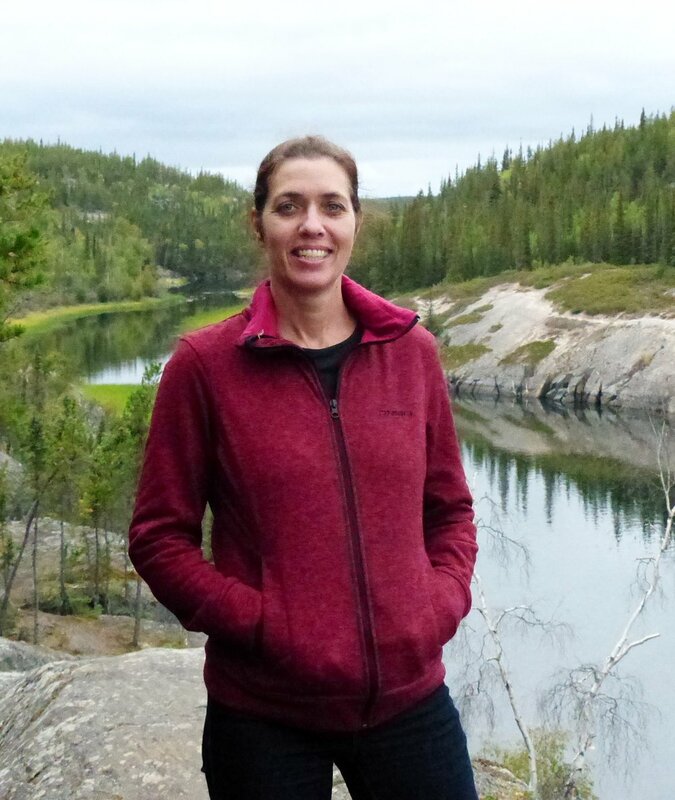 Lillith Brook has been facilitating collaborative, multi-stakeholder conservation planning initiatives in the Northwest Territories (NWT) for the past 17 years. In her current role as a senior conservation planner for the Government of the NWT Territorial Department of Environment and Natural Resources, Lillith plays a leadership role in advancing the Government’s vision for building a conservation network in the NWT. Key to this vision is the meaningful involvement of Indigenous people in the establishment and management of protected areas, making this national dialogue regarding Indigenous Conservation Areas both timely and inspiring for creating a strengthened conservation network in the NWT. Marlene manages the Indigenous Community-Based Climate Monitoring Program at Crown-Indigenous Relations and Northern Affairs, formerly Indigenous and Northern Affairs Canada (INAC). Marlene has worked to develop coordinated approaches to ecological monitoring and assessment for almost 15 years within the federal government. From 2011 to 2015, Marlene was Canada's representative on the Circumpolar Biodiversity Monitoring Program Terrestrial Steering Group, where she helped to develop and implement a monitoring plan for the terrestrial Arctic. Marlene has thoroughly enjoyed her work over the past two years with INAC supporting Indigenous solid waste management initiatives and environmental management and stewardship. Scott Duguid has more than 10 years of experience working collaboratively for or with Indigenous groups in Alberta and the Northwest Territories. He has been with the Government of Alberta for the past 7 years where he has held positions in the Ministry of Environment, Environment and Sustainable Resources, Indigenous Relations and his current position as Director of Consultation with the Land Use Secretariat. Scott’s previous roles with Indian and Northern Affairs Canada and the Sahtu Land and Water Board give him a solid perspective on Indigenous land use, conservation and protected areas. Scott was named a honourary elder by the Alexis Nakoda Sioux First Nation and is an active participant in Indigenous traditional practices. Paul Dyck is Senior Advisor of Indigenous Initiatives with the Pathway to Canada Target 1 Secretariat that supports the Indigenous Circle of Experts. Prior to joining the Secretariat, Paul has served as Parks Canada’s negotiations manager for western Canada, with a primary focus on treaty negotiations with First Nations in British Columbia. In his 10 years with the federal public service, Paul has contributed to a wide variety of site-based negotiations, implementation of treaties and other agreements, protected area establishment, and development of national policy and guidance supporting Indigenous rights and cooperative working relationships in national parks, national marine conservation areas, and national historic sites. Paul grew up in Calgary, Alberta, and resides in the Greater Vancouver area with his partner, Amber. His academic background is in political science, with a BA from the University of Calgary and MA from the University of Victoria. 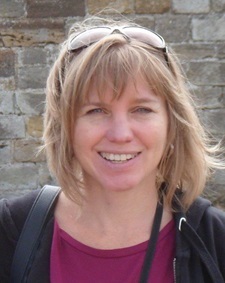 Susanne Emond is a policy analyst with the Protected Areas Program of Environment and Climate Change Canada since 2010. For the last seven years, Susanne has worked on the establishment and management of ECCC’s network of protected areas, including in collaboration with Indigenous governments and people of northern Canada. During this time, she also lived in Iqaluit for a few years, where she worked on the implementation of the Inuit Impact and Benefit Agreement for the National Wildlife Areas and Migratory Bird Sanctuaries in the Nunavut Settlement Area. Susanne has a strong background in community-based participatory processes. Prior to joining the federal government, she worked for a number of years with the non-profit sector, focusing her efforts on bridging the gap between biodiversity conservation and international development. This took the form of developing strategies for the participation of communities in natural resource decision-making processes, such as through management and land-use planning for protected areas in the Latin America, Africa and Asia. Susanne has also conducted research and policy advocacy for advancing human-rights issues in the context of conflict minerals as a contributor to the Kimberly Process, a United Nations mandated mechanism for the eradication of conflict diamonds. Elaine Hardy has over 20 years of experience as an environmental policy and land use planning advisor with the Ontario government. She studied Urban and Regional Planning at the University of Waterloo, then pursued a Masters in Environmental Studies (Planning) at York University in Toronto. For the past five years, Elaine has been working at the Ontario Ministry of Natural Resources and Forestry in the Far North Branch, where she provides program and policy support for the Ministry’s work to prepare land use plans jointly with First Nations in the Far North of Ontario (the northern 42% of the province). She is currently leading work to prepare a Far North Land Use Strategy, which, when complete, will provide guidance and information to help joint Ontario-First Nation planning teams as they prepare land use plans. Previously Elaine was with the Ontario Ministry of Environment, where she worked mainly on environmental assessment and energy files, including leading the development of environmental assessment requirements for electricity projects and helping to develop approvals requirements for renewable energy projects. Elaine lives and works in Toronto, and canoes and cottages with her family in northern Ontario. Susan J. Mather is an environmental planner, analyst, facilitator and historian whose professional and academic experience has centered on nature conservation and the nature-culture nexus. With over 20 years of professional experience, Susan is currently working in marine conservation and integrated oceans management at Fisheries and Oceans Canada. Previously, as a planner with Parks Canada, Susan led the development of management plans for several of Canada’s national parks and historic sites. Susan has a Masters of Arts in Canadian History and a Master of Applied Environmental Studies in Planning. She has long been passionate about the relationship between Indigenous Peoples and protected areas. Her academic pursuits include an exploration of how the making of Vancouver’s “Stanley Park” was a colonial imposition upon a place that already had meaning as part of the Coast Salish world. Prior to joining the federal government, Susan worked for several years as a historical consultant for Indigenous governments. She also has experience in the not-for-profit sector with the Wildlife Conservation Society, Ducks Unlimited Canada, and the Federation of Canadian Municipalities. Tom has worked on indigenous issues with the provincial governments of British Columbia and Nova Scotia for over 20 years. He has been involved in treaty and aboriginal rights negotiations, consultation, land use planning, and a variety of collaborative management initiatives. Tom is currently Director of Aboriginal Policy with the Nova Scotia Department of Natural Resources, which is responsible for provincial parks, crown land administration, forestry, mineral resources and wildlife management in the province. His educational background includes a master of science in resource and environmental management from Simon Fraser University.